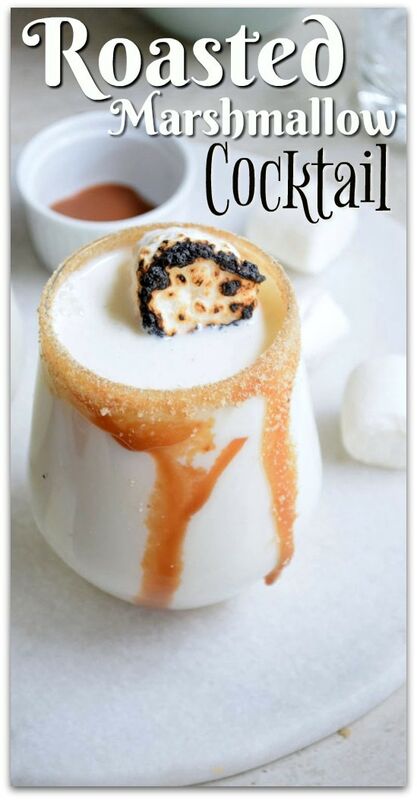 This marshmallow cocktail is one of the most decadent drinks you will ever try! It is incredibly sweet but packs a punch. 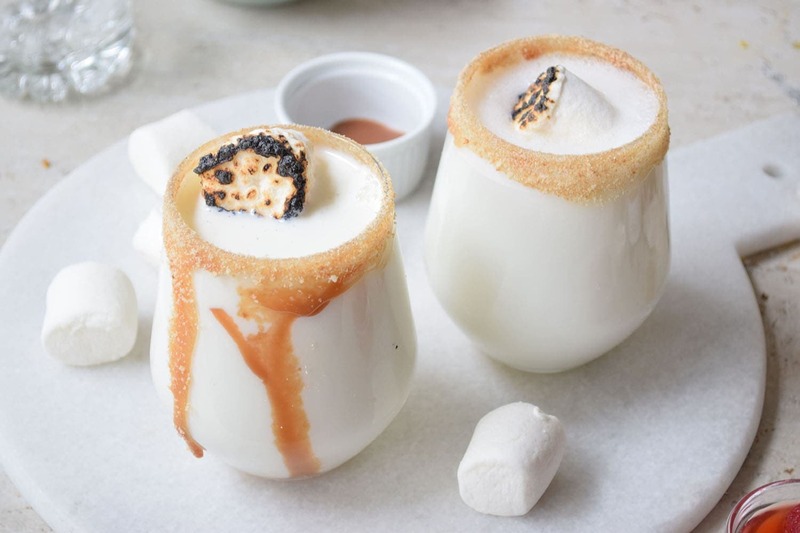 What’s not to love about a marshmallow drink that uses both marshmallow fluff and Bailey’s Irish Cream? 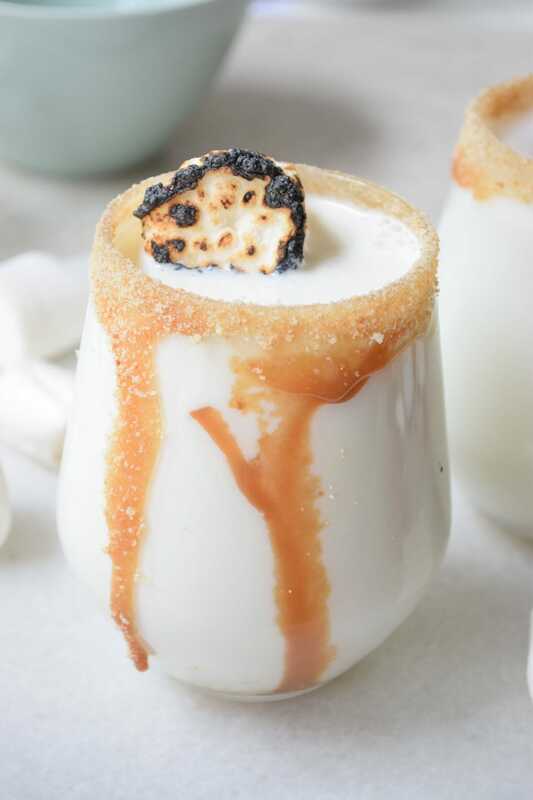 This roasted marshmallow s’mores cocktail recipe is one of my favorites and it’s so easy! Doesn’t it look heavenly? We always have marshmallow fluff in my house because my kids eat it with peanut butter on a sandwich. Have you tried it? It’s so good! And once you’ve had it, you’ll think of so many delicious recipes you can use it for. Make cookie sandwiches by filling it with fluff. Use it as topping on cake or ice cream. The possibilities are endless! For some reason, marshmallows are more popular in winter. I guess because we associate them with hot chocolate. Which reminds me, this cocktail would also be amazing as a hot drink! Just scratch the ice and the blender and serve right away so the marshmallows are still pretty on top. This is what you will need from the store before making this winter cocktail recipe. This makes two cocktails. 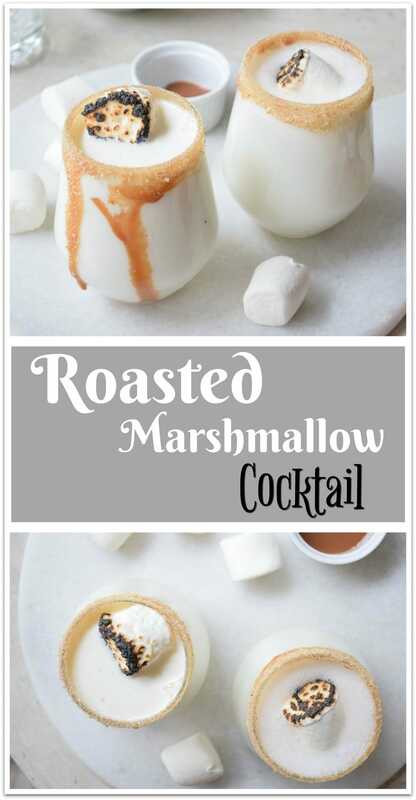 Can You Use Irish Whisky in a Marshmallow Liquor Drink? Yes, you can, and it would be delicious, but a little stronger. If you like a milder drink, I would stick with the Irish Cream. For a real kick, combine the two like in an Irish Coffee! Can I Make This Without Alcohol? Of course, you can! Simply leave out the alcohol and replace with Coffee Mate Irish Cream! If this is something you just want to make on occasion, I would buy the Coffee Mate Irish Cream singles. Use a couple of them whenever you want to make one of these drinks. You may be able to find International Delight Irish Cream creamer at your local grocer or Walmart. 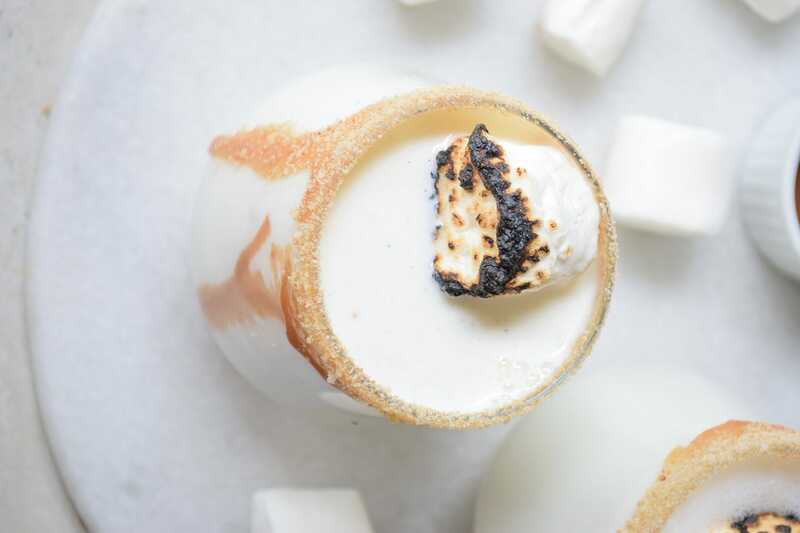 This marshmallow cocktail is one of the most decadent drinks you will ever try! It is incredibly sweet but packs a punch. 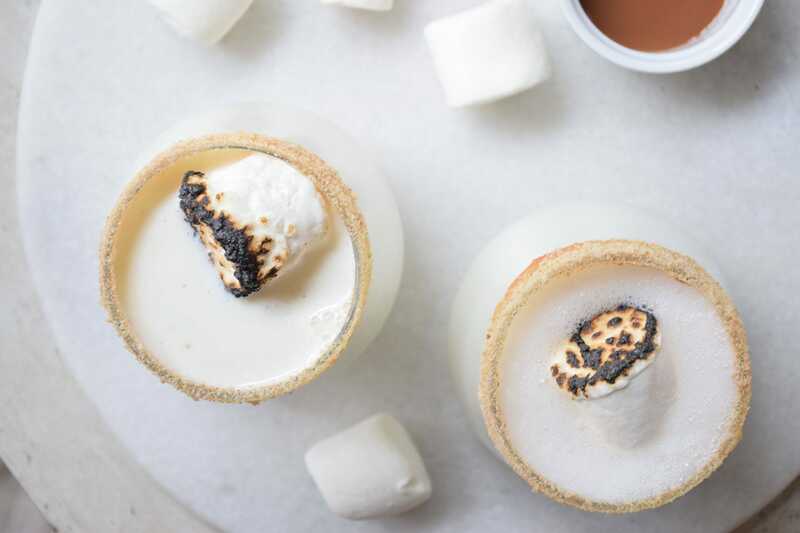 What's not to love about a marshmallow drink that uses both marshmallow fluff and Bailey's Irish Cream? Roast the marshmallows and set aside. Rim the glasses with caramel syrup and sugar. Mix in a blender the milk, marshmallow fluff, Bailey's Irish Cream, and cinnamon. Fill the glasses with ice. Divide the contents of the blender between the two glasses. Top with the roasted marshmallows. Irish Whiskey would be a nice addition. Can be made as a mocktail for the kids and friends who don't enjoy alcohol. These Hot Chocolate Cupcakes would be delicious with the Roasted Marshmallow Cocktail! Love turning kid favorites into grown up drinks! 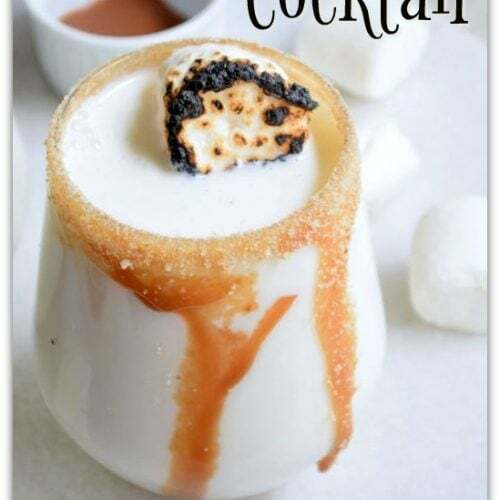 Hope our Florida weather cools down so we can make these and drink by the fire.